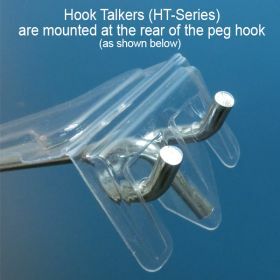 Label size 2-1/8" x 1-1/4"
They are also known as "Front Runners", "Hook Talkers" and "Hook Hikers"
Turn your ordinary peg hooks to "labeling capable" display hooks with our hook talker label holders, also called front runners. 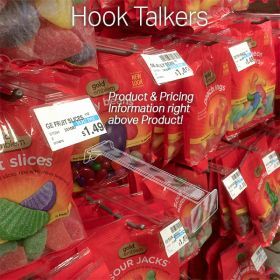 Peg and display hooks are a critical point of purchase merchandising product, communicate off these hooks with price tags and other important product information such as UPC codes. Clear PVC hook talker overlay label holders by Clip Strip Corp. are a great addition to peg hooks making them interactive, and giving retailers and brands better product merchandising point of purchase displays. 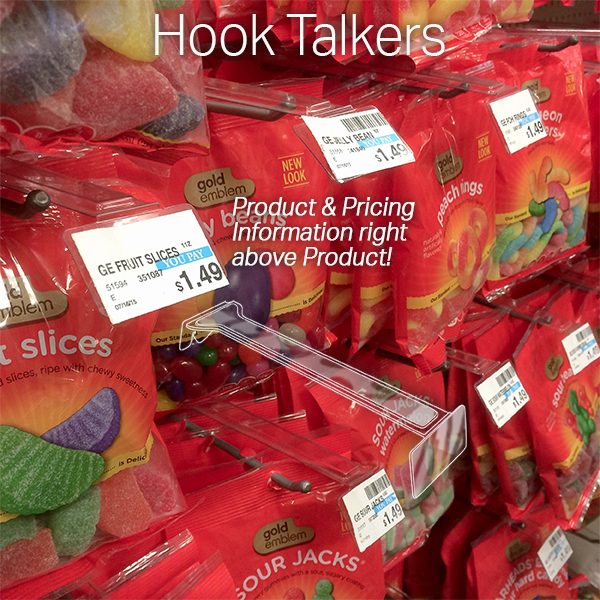 Make all your in store marketing as robust as possible with store fixtures from Clip Strip Corp.